Whilst museum dad is at work and the tweenager at school I like to take the toddler out in the morning. As any parent of a child that ages knows, it’s important to have age-appropriate places to take them. Somewhere they can touch everything, run, climb, scream and laugh in equal measures…somewhere they can rip things out of complete stranger’s hands and you won’t wish the ground would swallow you up. Usually we go to a playgroup, the park or have a playdate – even for a complete museophile like me, the first place that comes to mind isn’t a museum. 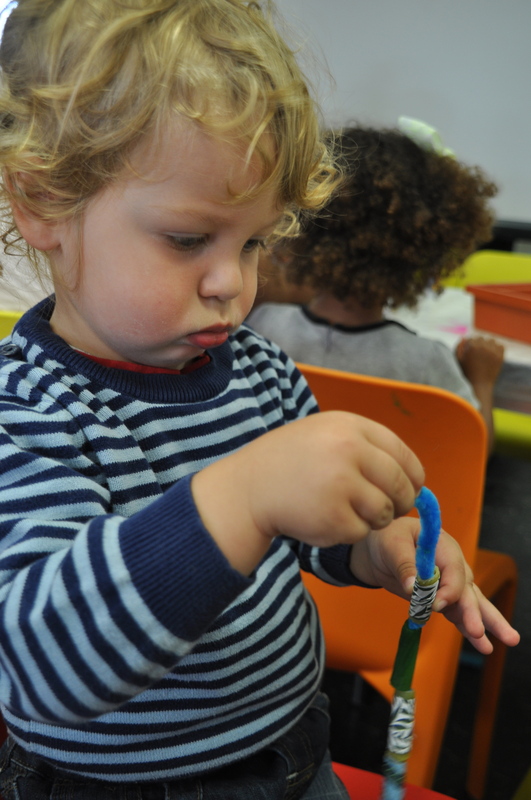 But I’m delighted to see that more museums are offering toddler activities – including the Walthamstow-based treasure, the William Morris Gallery. A review of the gallery will without doubt grace the pages of this blog in the not-too-distant future. For now, hopefully it’ll be enough to know that it is housed in William Morris’ childhood home, is devoted to the life and legacy of the Victorian artist, and since reopening in 2012 has won the prestigious Museum of the Year award. 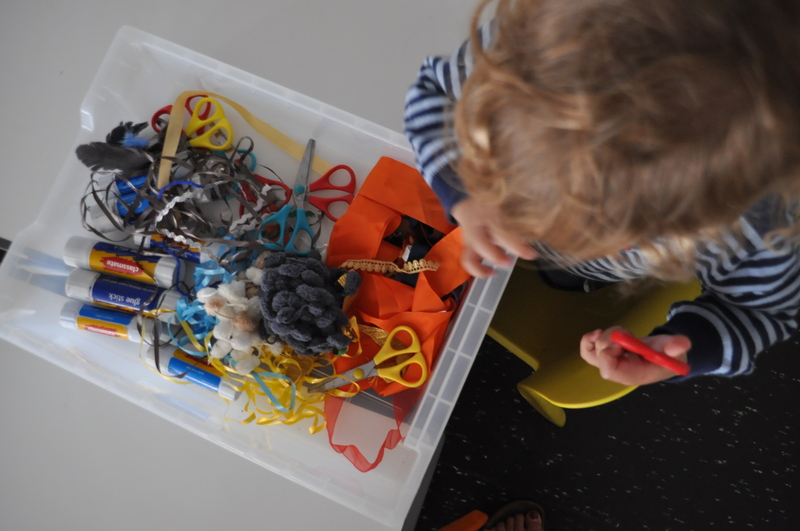 Creative Kids is an under-fives group run by the William Morris Gallery in conjunction with the nearby Lloyd Park children’s centre. Aimed at local children, it is held twice (10am and 1pm) on the second Thursday of each month and runs for 1.5 hours a time. Each month has a different theme – the session reviewed here was called ‘Dreamcatchers’, and we previously attended ‘Painting with Nature’. The sessions are held on the second floor of the gallery, in the refurbished art space. Each begins with all children and carers gathering in the room. 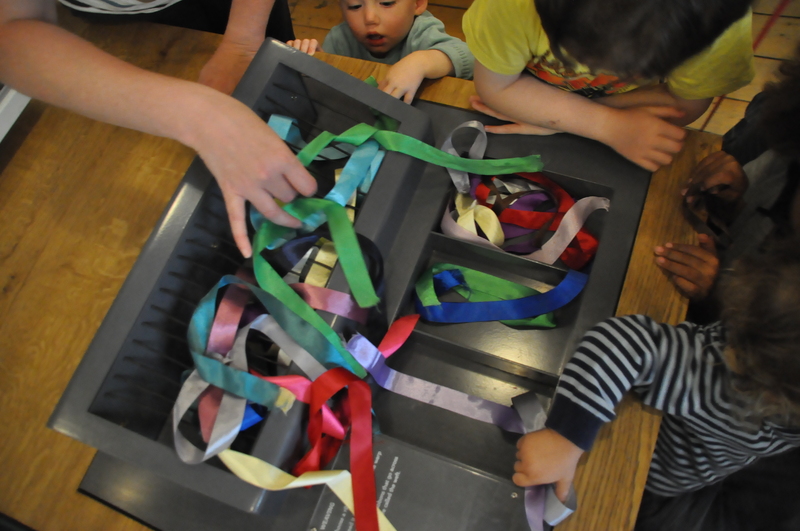 Toys and activities related to that month’s theme are available for free play and discovery – this time it was threading cards and crawling tunnels. The truculent toddler refused to partake, sitting at the craft tables instead. 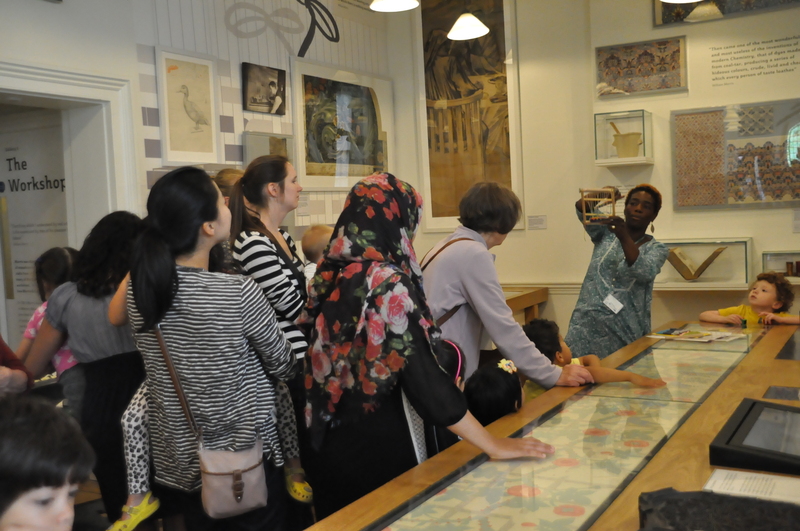 Once gathered, the session leader Lesley took us downstairs to look at relevant parts of the museum. As a curator, I love the fact that the session was directly linked to the collection. As a mum with a newborn in the sling, I could have done without walking the toddler down (and then up) two flights of stairs. Especially when he kept stopping to say “look, mummy!” at nothing in particular, and holding everyone up behind us *sigh*. For this session, Lesley showed us some image of first nation people, and explained the meaning behind dreamcatchers. They were used to protect the sleeping from bad dreams, and each part had significance. The web, like that of a spider, was designed to catch bad dreams, whilst the long strands would funnel down the good dreams to the sleeper. 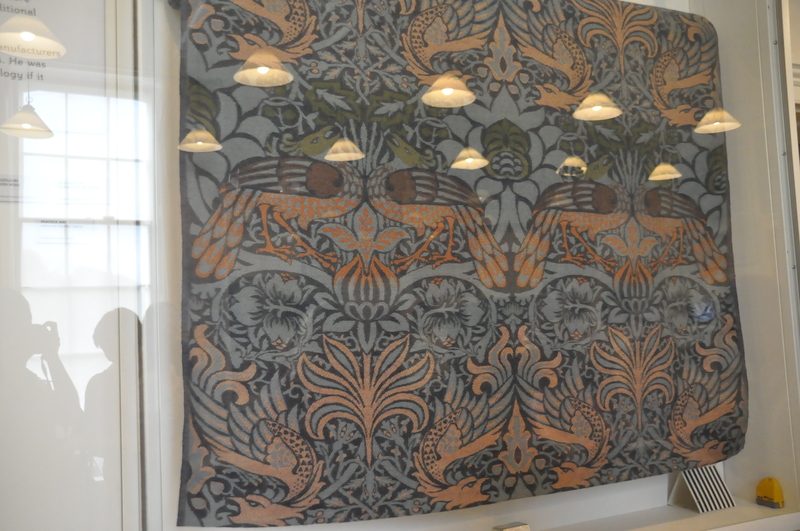 She then brought it back to weaving, with reference to one of the interactives in the gallery, and showed us some of the William Morris tapestries – pointing out the dragons which the toddler loved seeing. We climbed the stairs and took a seat at the tables, where all of the craft material had been laid out ready for us. Lesley talked us through how to make our own dreamcatcher. The activity was modified for different ages so we tried the easier version – starting with a paper plate, then sticking paper circles with William Morris patterns onto it. The toddler, despite being prolific at nursery with sticking, refused to partake. Instead he mastered the art of scissors for the first time ever, cutting some netting which I stuck on for him *proud mum*. 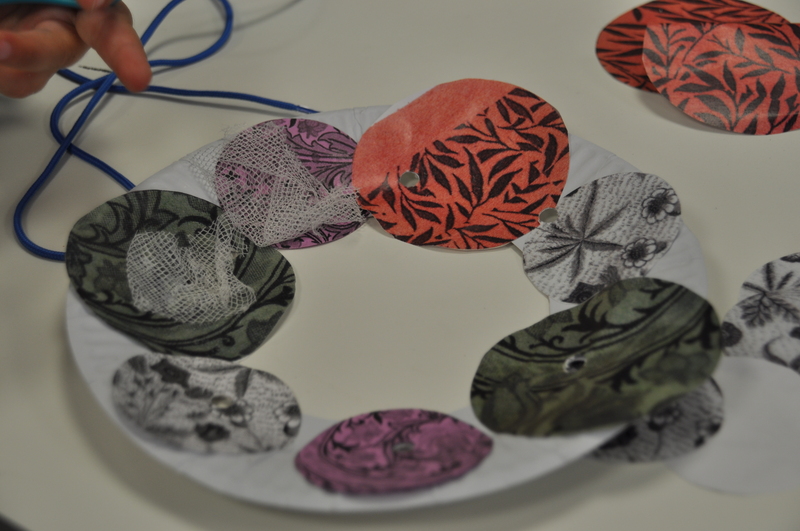 A volunteer punched holes into the decorated plate, through which we weaved a web using a coloured lace. 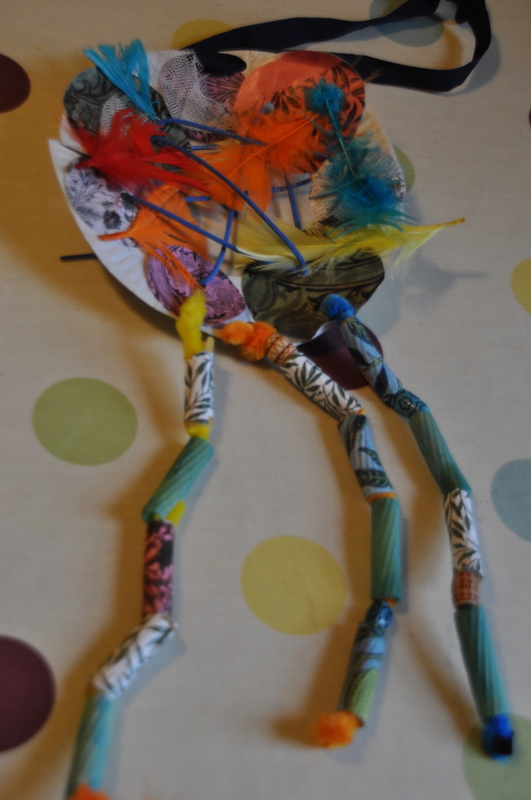 We then threaded beads – some made from coloured pasta, or pasta with William Morris patterns stuck on – and feathers onto pipe cleaners and attached them onto the bottom of the plate. The toddler absolutely loved the threading part – so much so that I’ve since bought him some play buttons to thread at home. Very soon it was snack time – fresh fruit and water – after which we sang ‘Incy Wincy spider’ (whilst the toddler shouted “Stoppit!” repeatedly at everyone!) He was much more interested in the story ‘There was an old lady who swallowed a fly”, told with an old lady puppet who swallowed each creature in turn. It was a very friendly group – Lesley and the volunteers all made the effort to remember my son’s name, despite having only been once, two months before. I really like that each session is different and well-structured, that is relates to the rest of the gallery and that you get to make something and take it home. We’ll definitely be back – but perhaps more so when he’s older and can concentrate on activities for longer (and understands the concept of stairs). Held: 10.00am-11.30am and 1.00pm-2.30pm, on the second Thursday of each month. Buggy accessible? : Yes – ramp to entrance, lift to second floor. If possible, I’d recommend leaving your buggy at home as you’ll have to use the slowest lift EVER to get there. If, like me, you must take some form of transportation, they do have a separate art room, also on the second floor, that you can use to store your buggies. Baby changing: On second and ground floor, wall-mounted changing tables. Darn it, I forgot to check the strap situation. Will do next time I’m there. Breastfeeding friendly? : It’s a friendly group with lots of parents and carers, no one batted an eyelid when I fed the baby. You can use the craft table chairs, although they have no arms, or if you wanted some privacy I’m sure you could ask to use the second art room next door. Toddler time from event to toilets: A mere few seconds away, also on the second floor. Nearest playground: The museum is situated at the front of Lloyd Park. Recently refurbished to the tune of £4 million, it has a children’s playground suitable for all ages – with sandpit, play fountain, swings, balancing and climbing equipment, (challenging) slide and a skater park. Plus lots of ducks to feed, pigeons to chase and squirrels to spot! Food: The gallery has a Tea Room of its own (call it a cafe at your peril!) The food is fresh, it has plenty of highchairs and overlooks Lloyd Park. Very child friendly is the nearby Bygga Bo swedish cafe, with a basket of wooden toys to play with in its little garden room. There’s also the (rather basic) cafe next to the playground too. Or bring a picnic! Want to make more of a day of it? 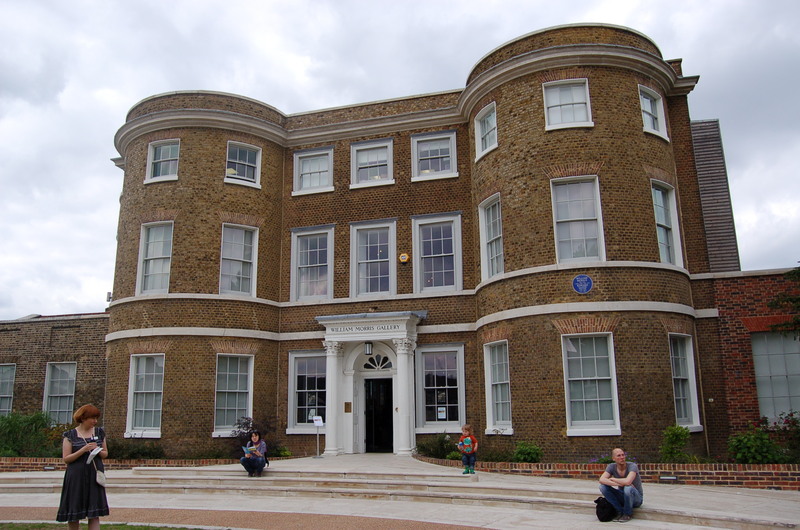 Aside from checking out the rest of William Morris Gallery, and Lloyd Park, you could also visit the nearby Vestry House Museum with garden and display of children’s toys.